I always find a person's bedside table says so much about them. The things you choose to keep there are your essential items weather that's a huge sharer (but not for sharing) bag of crisps or lots of pamper bits. 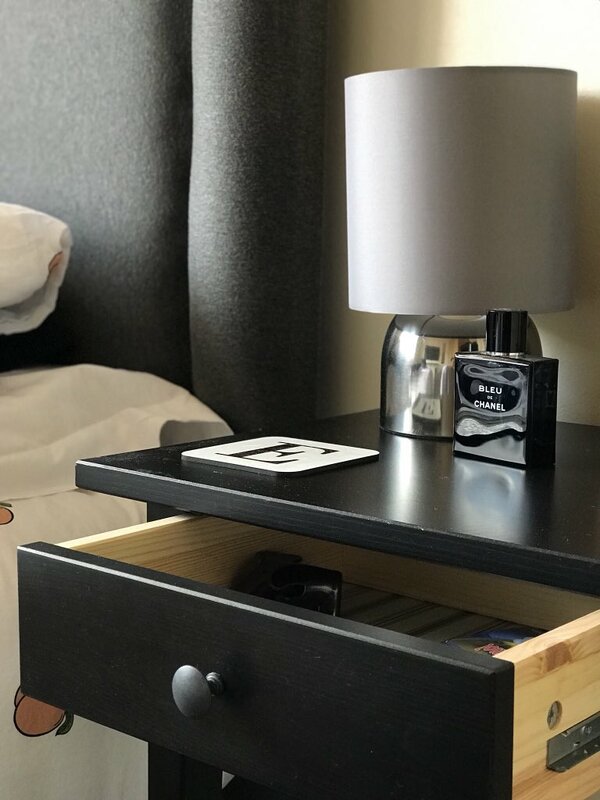 I always tend to keep a mixture of things in and on my bedside table. One day it's lots of crisp packets followed by four empty glasses and then sometimes it's the skincare I'm loving at the moment. Keeping skincare next to my bed has became one of the best things for me as it's a little subtle reminder to NEVER fall asleep before applying it. Doing my skincare in the evening acts as a little break up of the day before I hop into bed. 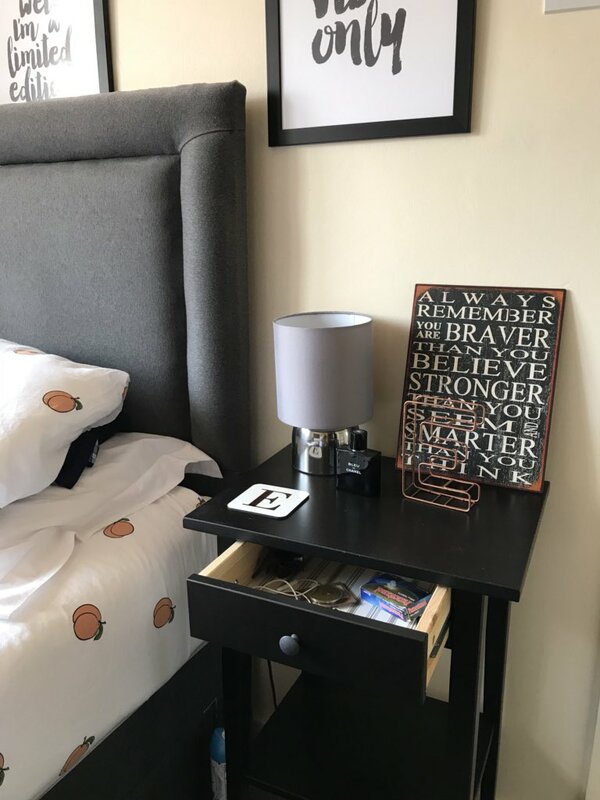 You will notice that there isn't hardly anything at the top of my bedside table and this is because I like things to look very simple and tidy and the drawer compartment is where the mess happens and where all my go-to's get chucked in! One of which is my trustee Vitamin C Skin Reviver from The Body Shop which I tend to use at night as when I wake up my eyes feel so refreshed and hydrated after using this the night before. Secondly, I couldn't forget about my Nivea Men Creme which has never let me down, I always apply this daily after I've done the usual face wash and teeth cleanse. This product has been an absolute life safer since the first time I ever used it. This isn't all my skincare I swear by but this is just a few items I have out at the moment. I also keep my reliable iPhone earphones very close to my bed for those sleepless nights of watching Youtube and listening to my favourite playlists. Disclaimer: Links in this post are affiliate links, which means I receive a percentage of the revenue made from purchasing products through the links placed on my blog. This does not affect you as the consumer OR the price of the product.